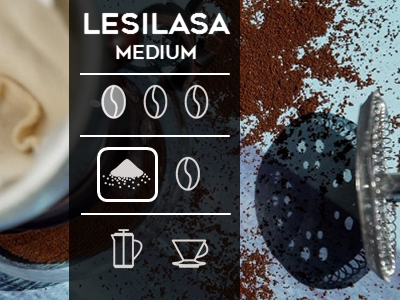 Aroma explosion: Lesilasa Medium Roast Ground for Filter, French Press & Co.
A coffee sommelier can discover 800 different flavours in a really good coffee – making coffee the most complex food that people consume. 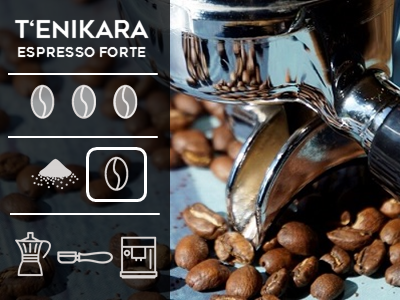 Our Lesilasa wants to celebrate exactly this: the gentle roasting process preserves the aromas of dark chocolate, spices, caramel and tropical fruits such as kiwi and passion fruit. Perfectly ground for your filter, French Press Aeropress. For all those who do not (yet) have a grinder at home. 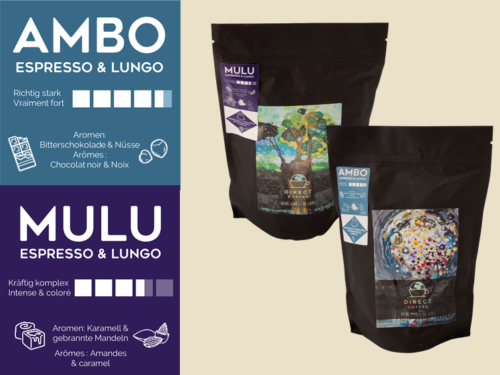 One package contains 350g freshly roasted coffee. The variety of flavours in coffee is determined by various factors, just as with wine: the type of coffee, the terroir and its growing conditions as well as the further processing. The beans of the Arabica plant contain significantly more – and tastier – aromas than the robusta plant. 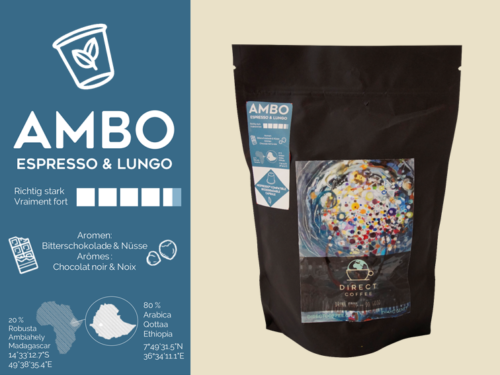 While the fine Arabica has many different, often flowery and fruity flavours, Robusta is the somewhat clumsy brother with rather bitter, earthy and woody aromas. On the coffee plantations in South America, the Arabica varieties Typica and Bourbon are often planted. 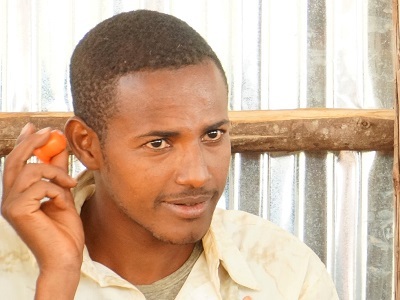 In Ethiopia, the country of origin of Arabica, things are a little different. The local varieties are known as “Ethiopian Heirloom” (Ethiopian heritage). This heritage actually consists of about 10,000 varieties, because in Ethiopia coffee still grows wild in the forests, where cherries are picked and brought to the market or to the cooperative. Harvesting by hand in the forest is of course much more complicated than on a plantation – but it’s worth the effort. Ethiopian coffee is world-famous for its variety of flavours and the farmers therefore get a very good price from international buyers like us. Growing coffee in the forest also has another important advantage: coffee grows in the midst of the existing natural ecosystem. It does not need fertilizer or irrigation and does not replace native animals and plants. That’s why we like to call our coffee “better than organic”, because the organic certificate can also be given to a coffee from Brazil, for which the rainforest has had to give way. We are glad to know that this was not the case for our coffee. Finally, the soil conditions and the microclimate still play a very important role for the taste of the coffee. We are often still amazed at how different the coffees of neighbouring cooperatives can taste. One of them is nutty and caramel, the other one is flowery and fruity. But the same goes for wine: the vineyard itself is absolutely crucial. Even within cooperatives, farmers usually know who owns the best coffee forest. It is almost always at the top of the highest peak. 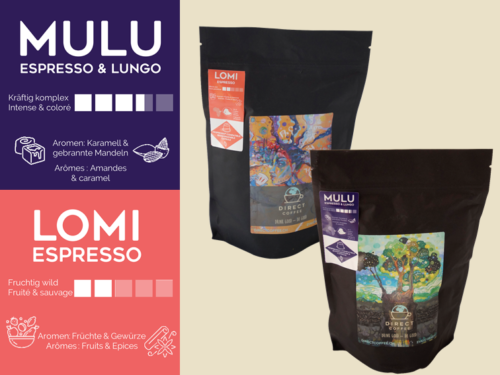 As with all our coffee products, coffee is traded directly and fairly for your espresso, protects the natural biodiversity of Ethiopia and supports social projects for the children of coffee farmers. How often would you like to receive your coffee ?